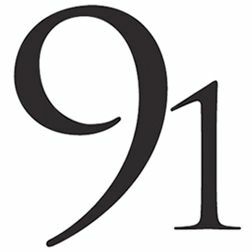 Ninety One Wood Fired Oven is an upscale casual restaurant as unique as its name. In the restaurant business since 1991, owners, Greg and Amy Goehring had a vision for a dining experience based on fresh, seasonal foods prepared in a chef-led kitchen. High quality, fresh ingredients are showcased on pizzas and in pasta and seafood dishes. Our strip steaks, touted as the "best in the city" are chateau cut, seasoned and grilled to perfection. Founded in 2002, Ninety One feels chic and upscale, yet delivers fresh, novel cuisine at a fair price. Stop at the bar for lots of fun. We offer an extensive wine list and many unique martinis and cocktails.